It’s been a long time since I’ve blogged–most of our girl’s life, in fact. That life has been eventful for all of us, which is why blogging is one of many things that have fallen by the wayside. Unfortunately a lot of our green habits have fallen by the wayside as well. We still have grand plans for solar, but no time line. So what have we been able to maintain? We have low-water major appliances, and low-flow (but high aerating) faucets. We use Seventh Generation Free and Clear laundry detergent. Our main cleaning products are Mrs. Meyers, Seventh Generation, and Honest Company, with a little bit of Method Home. Sadly, neither of us commutes by bus anymore. Our schedules have required some drastic changes over the past couple of years, which means that we’re driving to work–and even more than that, we’re driving separately. Hopefully we’ll be able to change that to some degree once this school year starts–but we won’t know for sure until we’re there. So what would I like to change? Transportation isn’t going to change in the immediate future, but one thing we could do is buy less. I think my two main green goals for the rest of the year are to buy less, and to cut down on food waste. 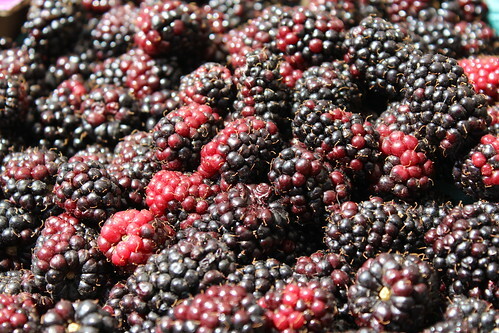 We’re doing better there than we used to, but we can pay more attention and shop more consciously. Photo by Seattle City Council. Public Domain. 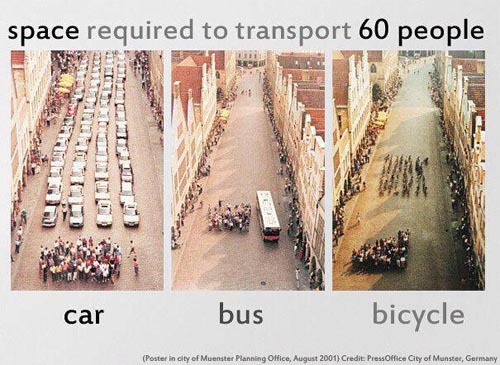 Look how much more room there is for your car when people bike or ride the bus! Lavish! 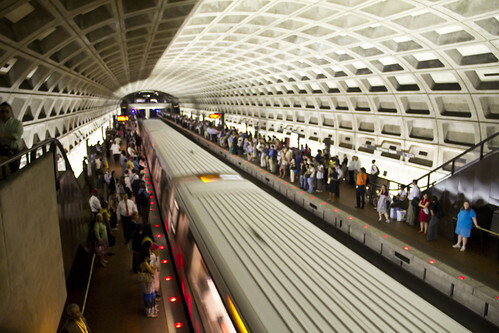 For the past five years, I’ve commuted primarily by public transit. I had a brief flirtation with multimodalism (I used to bike to the bus stop on the home end of my commute), but that ended when the need to take our daughter to day care began. When we lived in our apartment, I took Big Blue Bus to work. When we moved, we started taking Metro. I took the Orange Line to the 761, and John biked to the bus. But both of us found it really onerous–me, because my commute involved a lot of backtracking, and therefore took two hours in the evening, and John because he usually had to wait for at least 30 minutes to find a bus with an open spot on the bike rack. Then we discovered LADOT Commuter Express, which picked us up and dropped us off just as conveniently as Metro, but on a much more direct route (and with better odds of bike space). So for nearly three years, we’ve used that as our primary mode of commute transit. Yes, there are days that we drive–but they’re decidedly in the minority. I rode the bus until my last day at work before maternity leave, and started up with my first day back. So, what are my thoughts on five years of riding the bus? Well, I feel good about how I commute. I am delighted that I can get to work without being the one behind the wheel. I love having a chunk of time every day to read. I’m happy that I only have to pay for a tank of gas about once every 10 days. And I’m thrilled to be using our cars much less than many Angelenos do. 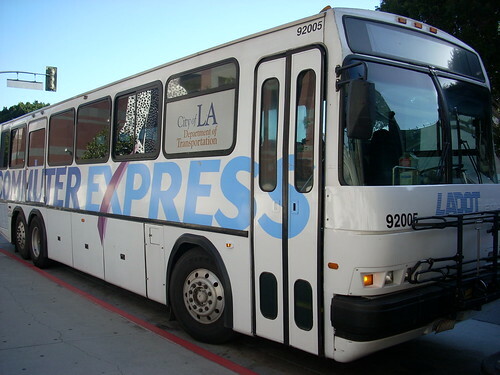 I’m also really looking forward to those new buses that LADOT is supposed to be rolling out this winter. Trust me, a 22-year-old bus is old. Photo by LA Wad, via Flickr. Nuts About Southwest, the blog for Southwest Airlines, has a new post about ways to go green. I’m not sure why this post is appearing now (it refers to Earth Day, which was in April, and the 40th anniversary of Earth Day, which was last year), but the suggestions are still good–even if #5 and #36 are the same thing. For the record, we’ve done about 3/4 of these. I think the one I feel best about is #13: Stop using paper plates. We have a lot of cookouts in the summer, and it quickly became obvious that paper plates were going to make up too much of our trash if we allowed them to. So we didn’t. We bought cheap reusable plates at IKEA and Target, and now we can host about 15 people without throwing away a single plate. Although I haven’t had the best luck with Method’s omops in the past, I do have to credit their customer service. As promised, my replacement mop has arrived. They even sent me a couple of the washable, reusable pads, which is a nice, unexpected touch. Here’s to clean floors!